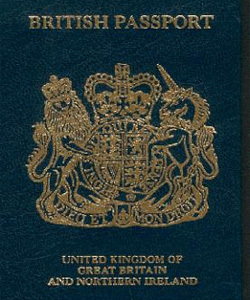 The Home Office has said it is considering the possibility of not displaying gender on passports. The proposals follow changes to Australian passport rules, which mean that intersex people who identify as neither gender can be listed as ‘X’, rather than having to choose between male or female. Currently, transgender people can obtain passports in their new gender. But intersex people – those born with chromosomal or genital ambiguity – must pick whether they are male or female. Supporters of gender-neutral passports say there is little need for passports to list gender and argue that other forms of ID do not state the information. Intersex rights campaigner Jennie Kermode told PinkNews.co.uk last week that the change would be easy to implement. Another campaigner, Jane Fae, said: “The issue of documenting gender goes much wider than the ‘feelings of trans and intersect people’. In fact many in the trans community would oppose the removal of gender as its inclusion on passports is vital to ensure safety when travelling abroad.